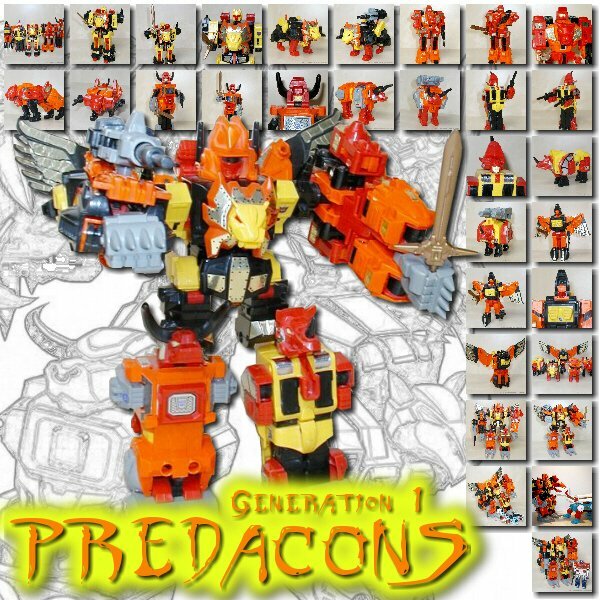 Prelude: Another redeco exclusive to the Takara Arms Micron toy line. Based on Wheeljack, who already has a review, and the second version from Hasbro in the form of Dead End. So this is only a quick look at the differences and whether he is worth the extra mile in getting him. Alternate Mode: The vehicle is, of course, based on Takara’s version of Wheeljack, so he comes with added Micron ports on his rear spoiler. Looks a little less sleek this way, but not the end of the world. Luckily they dropped the ports on his front fenders. Apart from the all-gray color and the golden rims there is nothing really new here, a small but sleek sports car that oozes velocity. Nice idea, I think, is the big Decepticon symbol on his hood. Since it would seem that all the later-release Arms Micron figures come with little bonus stickers for some extra details, he is no exception. In his case you get the word “Stunticons” or the proper symbol, known from Animated, to add to the car mode. Personally I only use the stickers where it’s absolutely necessary. His pack-in Micron is, once again, totally useless in this mode. So no revolution, but still a nice looking vehicle mode. Robot Mode: Same here. Apart from his colors there are no real differences except for the head, which is a new mold. Based on his G1 self, but I think it looks kind of strange. Not bad, but strange. The combination of his gray vehicle parts is now broken up with black and red parts and it works, but it’s nothing special, either. Big bonus point here is that apart from his Arms Micron he also retains his swords from Wheeljack and Dead End. And I really like that, even though the swords feel somewhat softer than before. If you like the mold and this color configuration, then you will be satisfied. Like his mold brothers, a pretty cool robot, nice details and articulation, but far from exceptional. Arms Micron: Ozu here is what I would guess to be an elephant. Even though he is the same color as the car itself, he is still useless for the vehicle mode. Kind of funny to look at, but nothing more. As the name implies he transforms into a weapon, but it’s not really apparent to me what kind. Could be a gun, could be something else. Guess you already know by now that he is not the best choice of Micron. At least he works as some kind of rocket launcher for Wildrider but that is about it. Conclusion: Bottom line, a nice redeco with a new head and Arms Micron. On the other hand, this mold has been around the block a few times by now and has been used plenty. Also, no TV appearance and he is only available from Takara, which means extra bucks for importing him. He is a solid figure, but not really necessary and shows that even G1 homages are not always a must. If you like sword fighters or this particular mold, especially in these colors, than there is nothing wrong with getting him. If you have Wheeljack and maybe other versions of the mold already, then you might go and look for a new figure instead of a redeco.